In all honesty, I was not sure exactly what to expect. Yet for some reason I expected to love the Faroe Islands. I anticipated loving the islands, the culture, and the people. It came as no surprise that the Faroese people were welcoming, inquisitive, and excellent hosts. 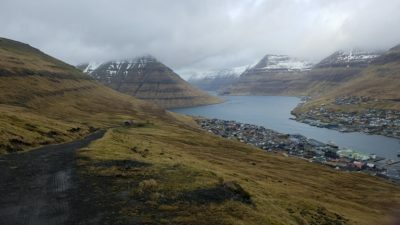 I had read about the Faroes on another travel blog and that planted a seed in my own travel dreams. And the fact that they are close to the heavily touristed Iceland and highly populated Great Britain but are quite remote themselves made me very curious. And I already had intentions of visiting Iceland. My travel style has evolved to often making one country the focus of a trip, while dipping into another country on either end of the trip. As I did a bit more research online and sat with the idea for a bit, I decided incorporating the Faroes into my Iceland trip would be a fine idea. Even once the decision was made and the plane tickets were purchased, I still didn’t know what to expect! Anyone I mentioned the Faroe Islands to, had never heard of them. In fact, everyone would wrinkle their eyebrows as if they were looking for something, and say “and where exactly are those?” There is actually no Lonely Planet Guide for them either! Or Moon Guide. Or Rough Guide. I did find a guidebook by Bradt. I really did not like the way it was formatted, but beggars can’t be choosers. So I picked it up. Tell Me More About the Faroe Islands. I am Curious. This was probably the least researched trip I have ever taken. So with my lack of specific expectations, I picked out an Airbnb blocks from the harbor and read a little to get a sense of the lay of the land. I had a concept of how the traveling logistics would work. And that was about it. The eighteen islands were ripe for my discovery. Or at least however many I could get to in a few days. The entire country has about 50,000 people. This is not to its detriment, but it is not a place to go seeking cultural diversity. There are not enough people and not enough types of people to create diversity. The Faroes used to belong to Denmark. Currently, they are an autonomous country within the Kingdom of Denmark. And of course, this means today there is a strong cultural connection. 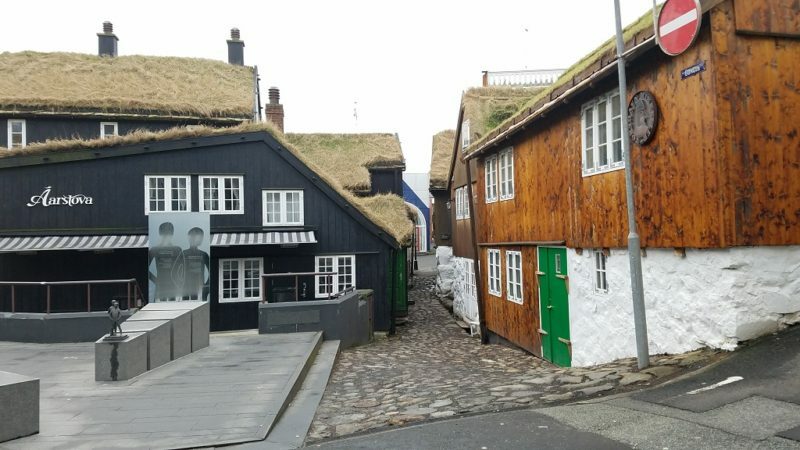 Often when Faroese children grow up and want to expand their lives, they go to school in Denmark. And some Danish people move to the Faroes. Some were born and raised in the Faroes and there they will remain. Others were born and raised there and have traveled the world and lived and worked elsewhere. And then choose to return to the Faroes because they truly love them. 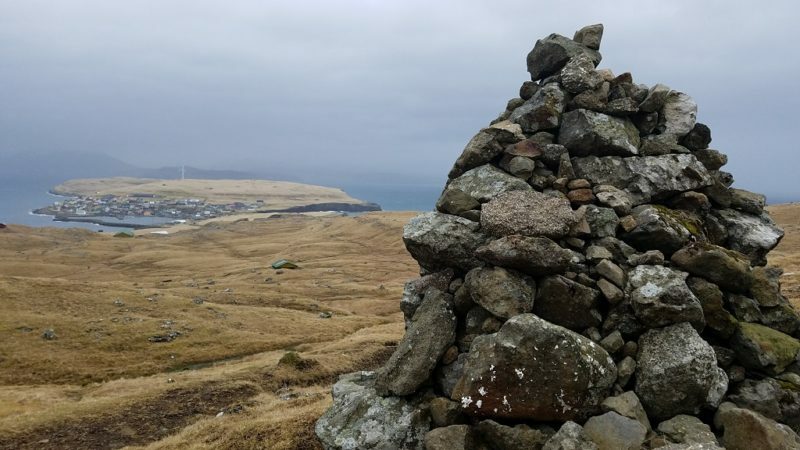 A smaller number of people move from a totally different country, something drew them to the Faroes, and the magic of the place holds them there. Like so many places, the locals are totally open to talking and sharing a piece of themselves. Except for a few people I encountered in the island of Nólsoy, everyone spoke English. Not having a language barrier makes traveling there much simpler for Americans. But more importantly, it gives me a greater capacity to connect with locals. Without further ado, let me introduce you to a handful of friendly faces in the Faroes. People who were kind enough to share a slice of their life with me. My Airbnb host was the first person I had contact with. And aside from the cab driver, the first person I connected with in Tórshavn. She was kind enough to reach out beforehand and make sure I understood it was winter, the weather was rainy, and it was unusual to have tourists this time of year. I assured her I would be prepared. I live in a rainy climate myself. 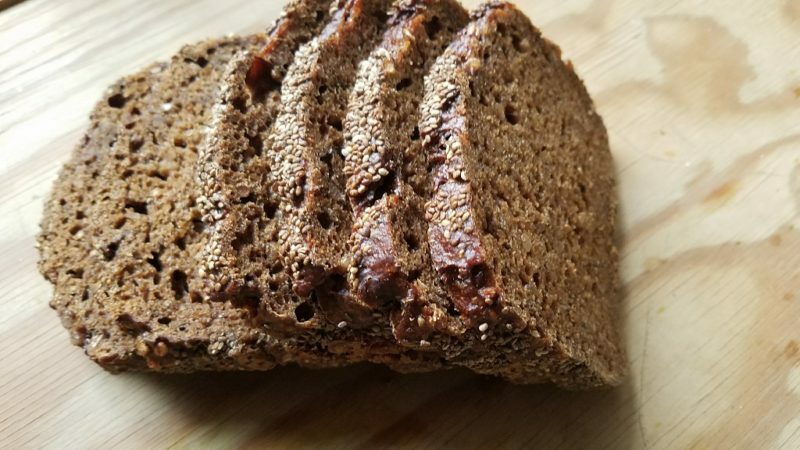 Having a loaf of Scandinavian style bread (a rye, but not dense) sitting on the kitchen counter when I arrived was a lovely touch. But having some freshly made rhubarb jam to go along with it and a thick slab of butter in the fridge was over the top. I actually had not had a real meal all day, since I was more or less hanging out in Keflavik, Iceland’s international airport, for the day. After tasting her jam, I was starting to worry she may have to kick me out when my time was up. Gunnvá pretty much gave me my space, but on a couple occasions when I reached out to her for some assistance, we had the opportunity to interact. What I found interesting about her was that she and her husband, Alda, lived in his childhood home. He works as a lobbyist and she is a teacher. She is a strong believer in public education, but recently switched schools and now works at a private school. They have one daughter who is a young adult and going to school in Denmark. In fact, the Airbnb I stayed in is a converted apartment under their main home. 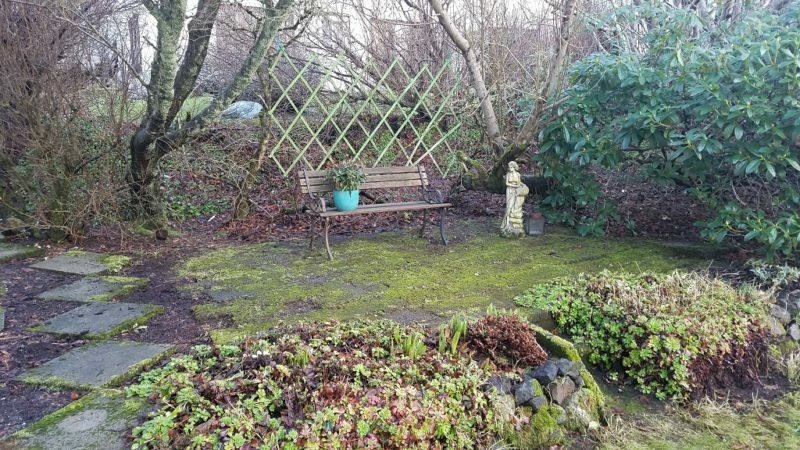 It is the living space for their daughter, who shall return in the summer. They have another daughter who is young, perhaps five years old. That explained the pack of kindergarteners who were playing the Faroese version of ding dong ditch with me. That’s OK, as a child, I was mischievous and figured that it was payback time. And indeed she has. She grew up in Tórshavn and has traveled Europe extensively. She has had the opportunity to live in Australia and South America. When she was ready to settle down and have children, she returned to a place she knew would provide her with the things she values. I do wish I had gotten his name. I am embarrassed to say I simply forgot to ask him. For a few days, I looked out at the stands by the harbor where I assumed the fisherman brought their catches in. But alas, I didn’t see any. I know they don’t work on a strict time schedule and that I’d have a better chance of seeing someone in the morning than afternoon. But I figured if I were there at different times, it just might happen. My last full day in the Faroes, I was killing a little time before the ferry took off for Nólsoy. I was in a local shop that was filled to the brim with handcrafted wool sweaters. Each one was more beautiful than the next one. I knew all these sheep were getting put to excellent use! Out of the corner of my eye, I spotted a man setting up shop in the booths by the harbor-side. I flew over there and saw that he was not selling fresh fish, but local products that had been vacuum packed and dried fish. That’s OK. I was equally as interested in those. Perhaps even more so, since I could take them home with me. To be honest, I didn’t recognize anything and I needed to ask what each item was. The fishmonger was only too happy to explain. I was interested in what he has to say. But perhaps more so, I was interested in him. He told me tales of how to consume whale sausage and how he extracted the fat from the inside of the intestine of a sheep. And all the while, my mind absorbed and expanded the stories. He was a man of many skills. And eclectic skills at that. I mean, who else do you know who extracts a special type of fat from the lining of sheep intestine? Beyond that, he was very particular in telling me what temperature to warm it up and to pair it with fermented cod. Not cooked cod, but fermented cod. This is the way the Faroese do it and have been doing so for many years. I asked him a few questions, but mostly I let him share his wisdom. I was fascinated by the idea of his partaking in age old methods of creating traditional preparations from the sea. Doing things the way he was taught by his father, and grandfather. I could have gone to the museum. But I knew that the museum came to me. He was a man of age. Yet he was full of life as I could tell from the twinkle in his eye. His face and hands were wrinkled from years of working in and with the elements. And those wrinkles housed a great deal of wisdom. I mostly cooked my own meals in the Faroes, but I was truly looking forward to a fun and final dinner out on the town. While the guidebook recommended a couple of upscale places, I had my sights set on Tarv. 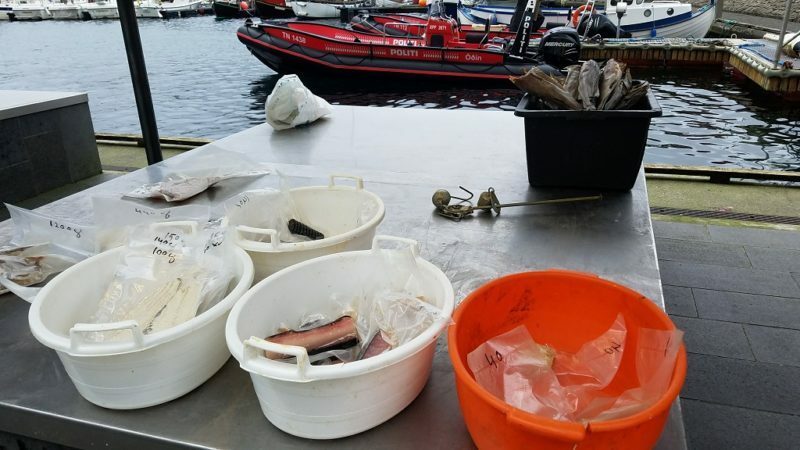 It was Tórshavn’s newest restaurant and the location on the harbor could not have been any better. It was the live langoustines that did it! They pulled me in there. 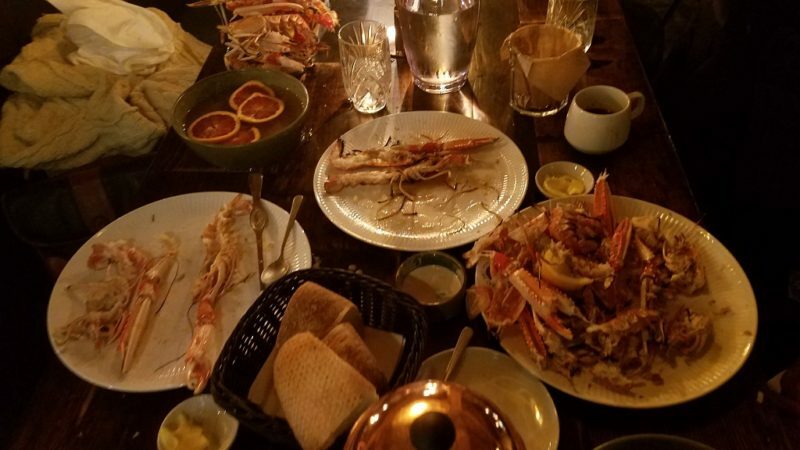 On an evening walk two nights prior, I saw a man in the outdoor kitchen standing over a large tray of still kicking and screaming (maybe not screaming) langoustines. I went over and talked to him and got the skinny on the restaurant. It is actually a Spanish restaurant, based on the concept of tapas style eating. Although as much as possible, local ingredients are used. And the langoustines are brought in on days that the diver is successful finding them. That was all I needed to here. I’m there. I thought I made a reservation, but there was some miscommunication and when I went there for dinner, I was told that they were busy for the whole night. There was a private party. I begged and pleaded but to no avail. Well, the other upscale restaurants were booked too. I was pretty bummed. I ended up going to a sushi restaurant and had some appetizers. The service was beyond slow, the food was so-so and, for my special meal, it was pretty much a letdown. I went by this French bistro to have dessert and although it was only 8:30 PM, they told me they were closing for the night. I was really batting 1,000 that night! On the upside, I had killed about two hours trying to obtain some nourishment. Something drew me to Tarv again, I clearly had langoustines on my mind. At this point, they said they could seat me as the private party had moved upstairs. I am not sure how it all unfolded, but somehow the waitress explained to the chef, Wi, the miscommunication and she was intent on making it up to me. I certainly did not feel like she owed anything to me. But she and her staff decided I was royalty for the rest of the evening. I opted to just embrace the experience. They brought out plates of food. Heaping piles of freshly fried langoustines! They were meaty and tender and every bit as flavorful as I had envisioned they would be. And piping hot French fries, I don’t indulge often but admit to having a weak spot for good fries. When I couldn’t eat any more, dessert came. Wi came out to make a personal apology and tell me everything was on the house. She insisted. And then she took me on a tour of the restaurant. 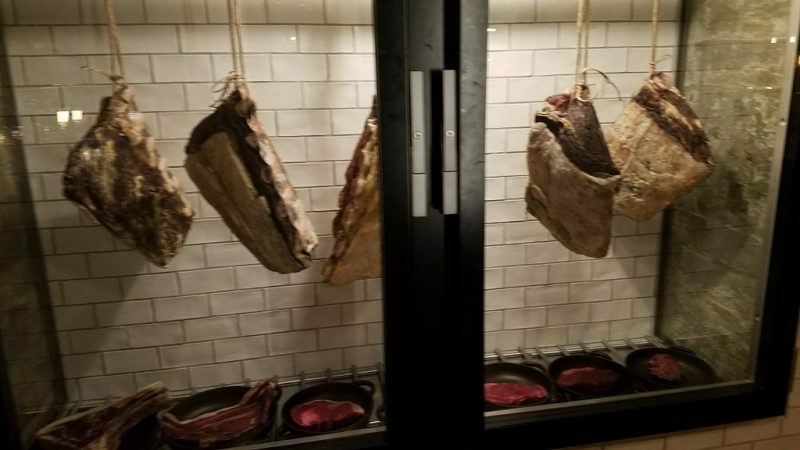 The well cured prosciutto hung near the bar. It came from Spain, but her focus was on the lamb. The Faroese have a special way of preparing their lamb and she wanted me to try it. It is fermented in the way the Faroese have preserved meat for generations. We went upstairs and she had a server slice the three different types for me. The mom, the dad, and the baby sheep. The results were the opposite of what I expected. As I favored the dad and least favored the baby. I loved getting the backstory on the restaurant, the food they serve, and her. Wi is from Thailand, and frankly, it’s not common to see Asians in the Faroes. 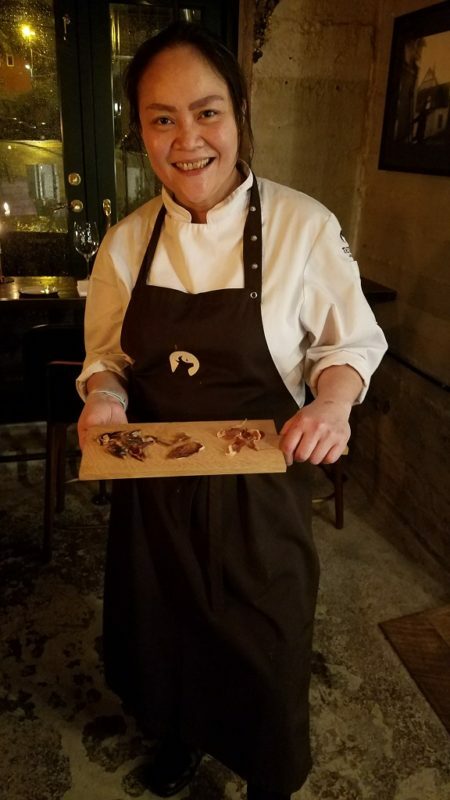 She went to culinary school in Denmark and made some connections to the Faroes while she was there. One thing led to another and she moved to Tórshavn. She loves that she has the ability to be creative at Tarv. She was clearly one of the drivers behind establishing and promoting the restaurant. In fact, the private party was for the Faroese tourism board. They were discussing ways to get the word out to the rest of the world that they are a destination worthy of travel. Wi lives in Tórshavn with her teenage daughter. They were planning a trip to New York and I was happy to write down the name of some fabulous restaurants there. I got Wi’s email, so I could stay in touch. I wanted to thank her for her royal treatment of me that special evening. 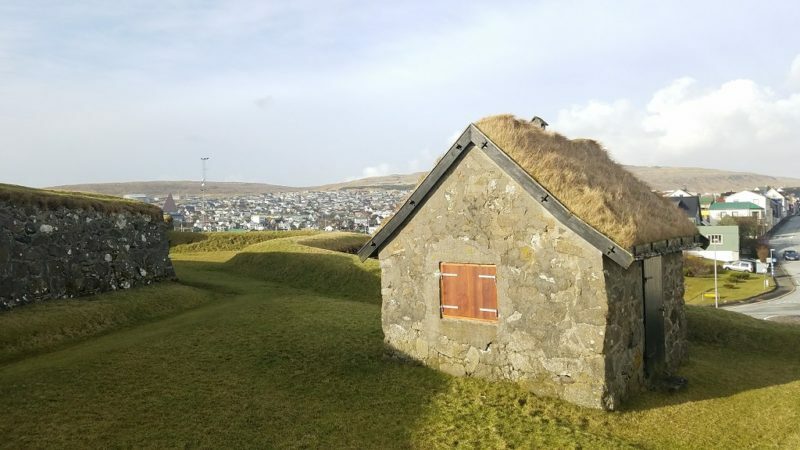 For an remote place like the Faroes, I found Wi to be exceptional. A Thai woman who is the head chef at a newly opened Spanish restaurant. It would be no exaggeration to say she is one of a kind. 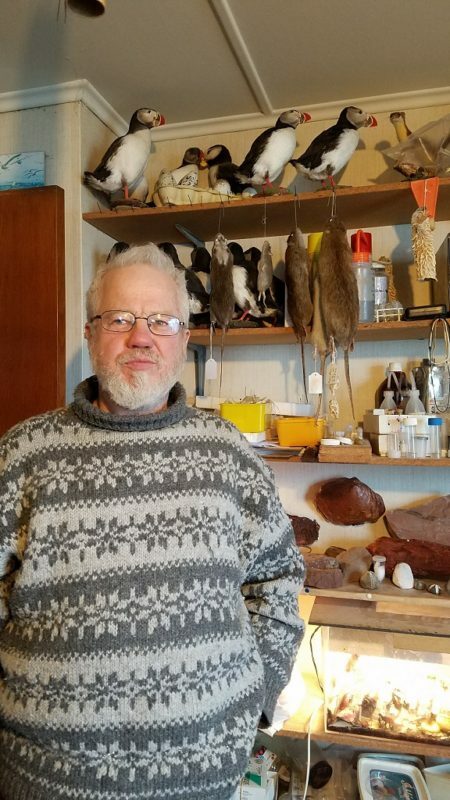 Perhaps Jens-Kjeld Jensen is the quirkiest person I connected with in the Faroes. 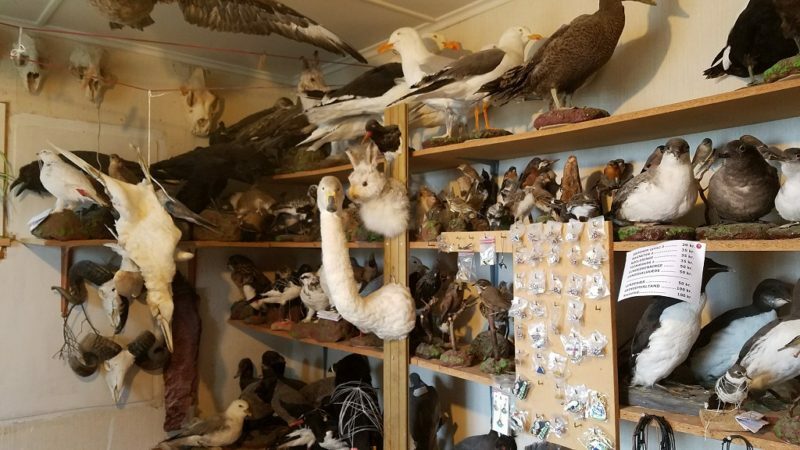 I say that, because I have never met anyone else whose living room has been turned into a taxidermy museum! But that being said, he is simply a man who is passionate about birds in the Faroe Islands. I read about Jens in the Bradt guidebook. Under the heading for “things to do in Nólsoy”, Jenn’s home and tours are mentioned as the most interesting thing on the whole island. Granted, there are only 200 people (and 600 sheep), but the honorable mention is still noteworthy. The guidebook says “the yellow house on the west end of town”. That got me heading in the right direction, but there were several yellow homes. I ended up knocking on one, no answer. So I went to a different home where I noticed someone was home. He did not speak English, but when I said Jens and made motions like a bird, he knew where to take me. I thanked him and proceeded to knock on Jenn’s door. A Danish man who resembled Santa Claus cloaked in a Faroese wool sweater answered the door. I was invited in. His Danish accent was thick, but he spoke enough English for us to converse. I was curious how many people just randomly knock on his door. He said about 2,000 annually. I guess the summers are something of an open house! Hundreds of stuffed birds sat on shelves or were suspended from the ceiling. Something similar to a hawk with a rodent in its mouth was staring at me. I stared back and it was a staring contest. But only for a moment, since I quickly got distracted by the puffins. I had not seen any living ones, although I knew they had colonies nearby. Jens grew up in Denmark. 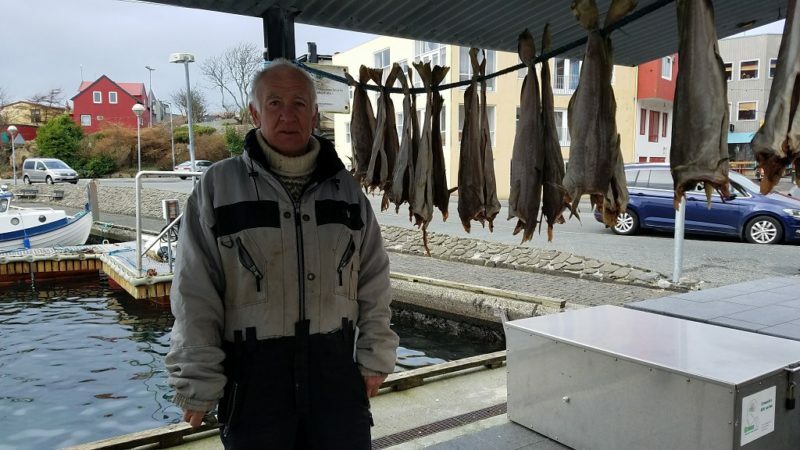 He moved to Nólsoy over 30 years ago and rarely leaves the Faroes, although he does go to Tórshavn regularly. He showed me a couple books on local birds. I thumbed through them and then realized that he was the author. The professionals actually consult with him on his findings. For instance, when biologists who work at the universities in Denmark are stumped, they go to Jens. Although he may be dismissed as the mad scientist, I actually think he is very organized. He has kept records of bird sightings for decades. In fact, I totally cracked up when he told me “my wife says to me ‘you cannot remember my birthday but you remember how many times you saw each and every bird!’”. Well, for as different as Jens is, it is safe to say that men all over the world share a common thread. Now you can no longer say you have never heard of the place. 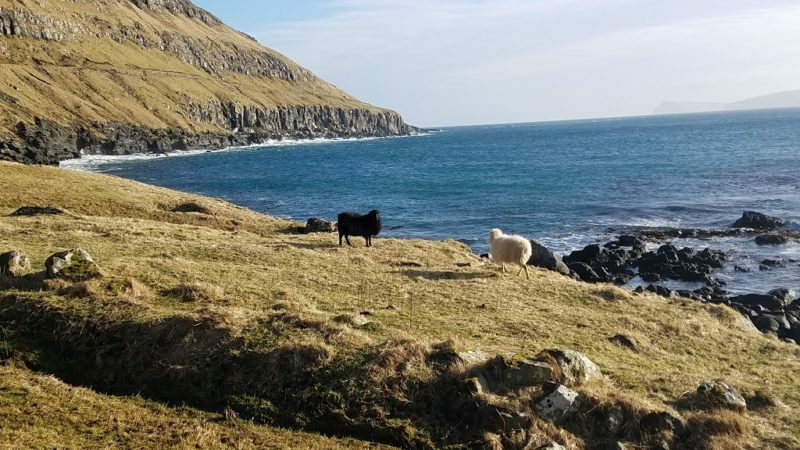 Go meet the friendly faces in the Faroes!